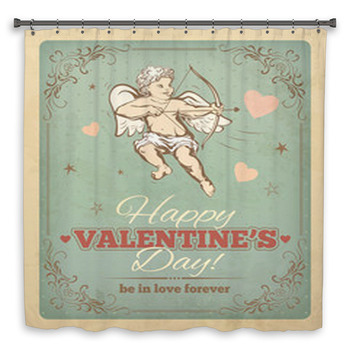 Keep romance in your life with Valentines Day shower curtains. Put a cute pair of Hummel figurines in front of a lemon lime olive heart. 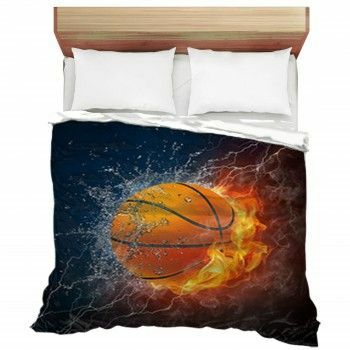 Give Cupid whiskers and striped pink pajamas. Send skulls wheeling in pink skies above Betty Boop and her punk boyfriend. 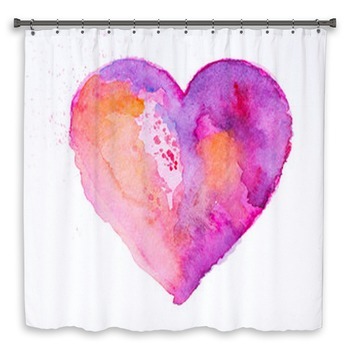 Cover your shower with simple arrow-pierced hearts of red, pink, and purple on custom shower curtains. Leave love in glowing letters and ribbons of the rainbow with pastel circles of color behind them in the air. 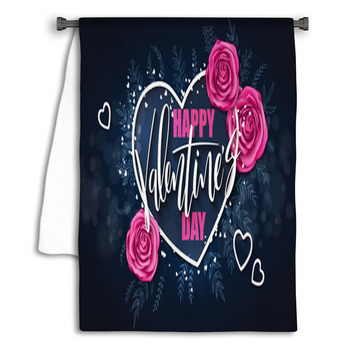 Send yourself a Valentine every day of the year with a heart trailing a rainbow train of pastel color across custom shower curtains. 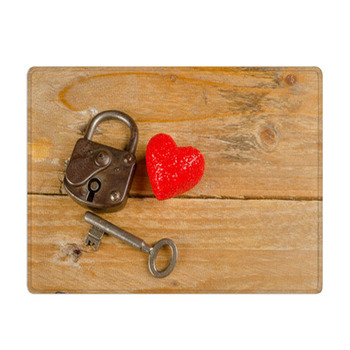 Leave cats on an urban roof to stare at a full moon heart in gold and chocolates. 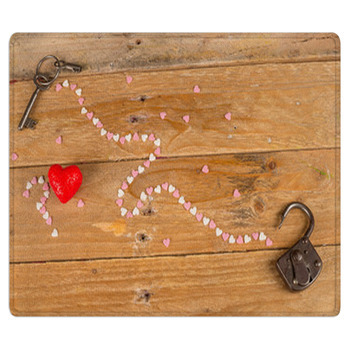 Leave a mechanical heart on a custom Valentines Day themed bath mat. Let swans of black and white put their beaks together in a heart bordered by the passion of purple. 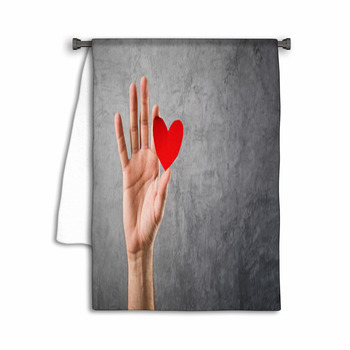 Leave love in so many words filling a red heart on a gray bath mat. 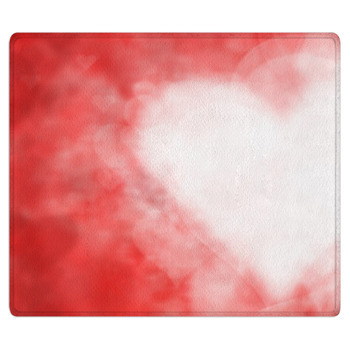 Send a strawberry swirl in jagged ripples around a red heart. 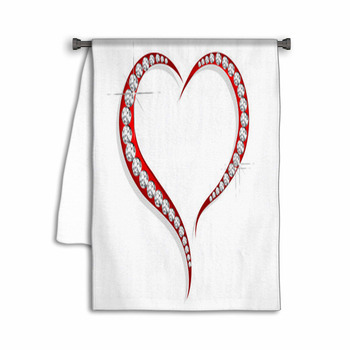 Put the perfect petals of a red rose inside a heart on custom Valentines Day towels. 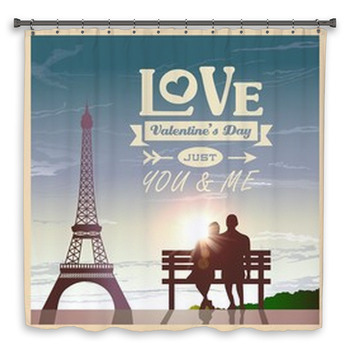 Construct the Eiffel Tower from hearts on a bath mat and whip flames of gold around a cinnamon heart on your bath towels. 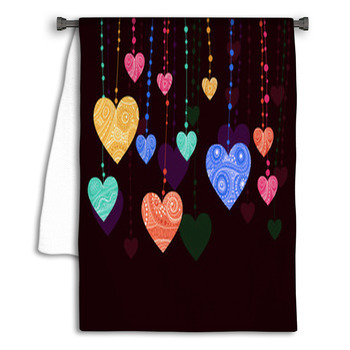 Leave hearts in a rippling glow of oranges and pinks on the shower curtain. 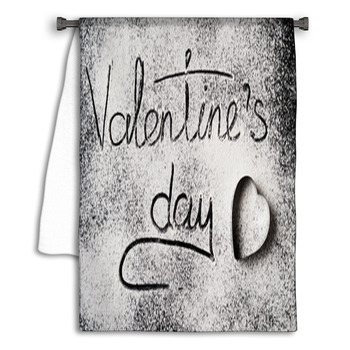 Give little heart-shaped pillows quilted outlines and shaggy laces on custom towels. 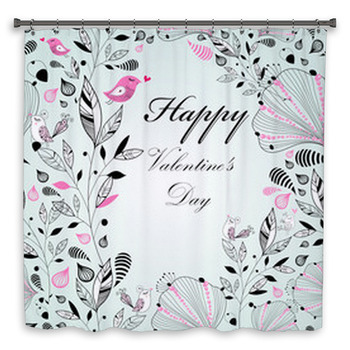 Bring the full hearts and romantic wishes of Valentines Day to your bathroom with this collection of custom designs.